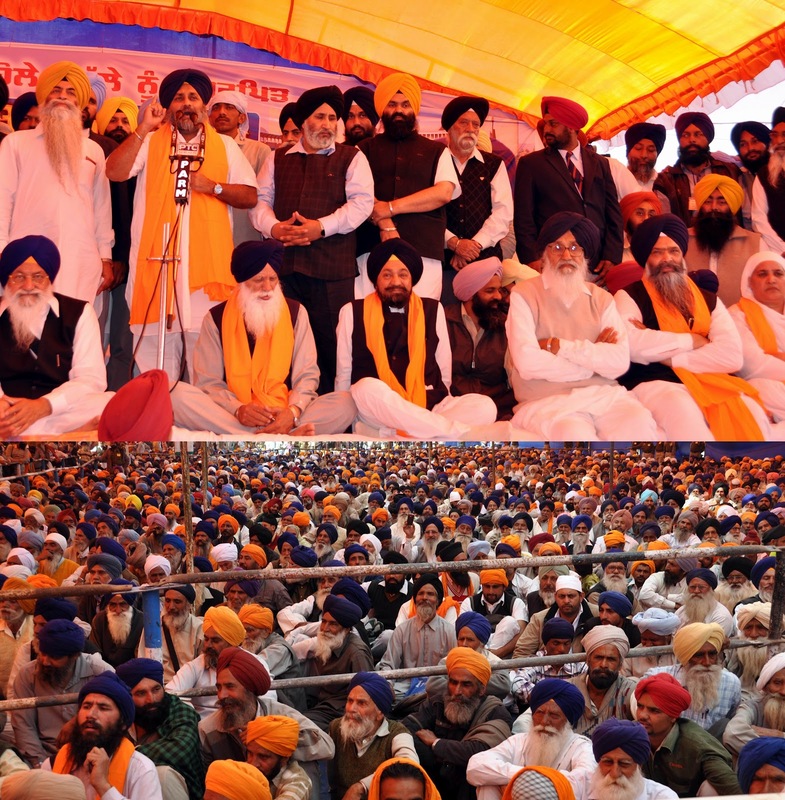 Addressing the impressive rally of SAD’s resurgent workers after paying obeisance at Takhat Sri Kesgarh Sahib, Mr. Badal said that he has come to the sacred soil of Khalsa birth place to seek blessing from almighty and to vow that his government would focus on pro-poor and pro-development policies and would make all efforts to fulfill the aspirations of people. Enthused by huge electoral victory party president Mr. Sukhbir Badal swore to intensify war against nefarious elements indulging in illegal drug trade and gave a call to people to join hands with Punjab government in this war. Congratulating the people Mr. Badal said that besides making Punjab power surplus in next two years the State government would focus on completing unfinished tasks of last tenure. He also announced extension of free bicycle scheme to girl students of 9th and 10th class besides announcing free education to all girl students up to MA. Mr. Badal also announced setting up of a world class sports stadium at Sri Anandpur Sahib besides announcing memorials’ in the memory of Bhai Jiwan Singh and Bhai Sangat Singh. Later in a press briefing, when asked about number of BJP ministers in the cabinet Mr. Badal said that Akali Dal’s relationship with BJP was not political but it was an emotional bounding which was above of all theses things. When asked about reasons of congress failure Mr. Badal said that people had punished Congress for record price rise, unprecedented corruption and its failure to provide security of life to its citizens. 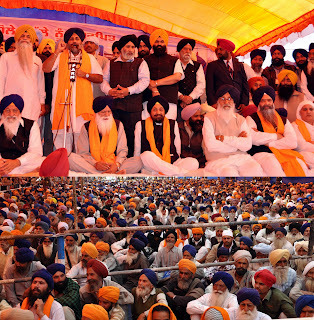 Addressing the workers the party chief Mr Sukhbir Singh Badal said that SAD-BJP workers should not be complacent with the victory as they have to redouble their efforts to fulfill the aspirations of electorate. He said that focus of SAD-BJP government would be on improving civic infrastructure in villages and cities, governance reforms besides strengthening systems to tackle corruption. Earlier Senior Shiromani Akali Dal leaders Mr. Balwant Singh Ramoowalia, Mr. Prem Singh Chandumajra, Mr. Avtar Singh President SGPC and Bibi Jagir Kaur, Mr. Tota Singh, Dr. Daljeet Singh Cheema, Mr. Nand Lal and Mr. Surinder Singh Bhulewal Rathan, all newly elected MLAs also addressed the mammoth gathering for giving anothere chance to SAD-BJP combine to further accelerate the overall development initiated during last five year regime and promised to make Punjab the No.1 state of the country. They also appealed the people of Punjab to play an pro-active role in the rapid development of state by taking keen interest in the on going projects. Mr. Kiranbir Singh Kang, Mr. Jasjeet Singh Bunny, Mr. Amarjeet Singh Chawla SGPC Member, Mrs. Satwant Kaur Sandhu, Mr. Ujjagar Singh Badali and Mr. Pravesh Goyal were also present on the occasion.